I think appreciating how miraculous it was given how I was feeling an hour before made me enjoy it even more. 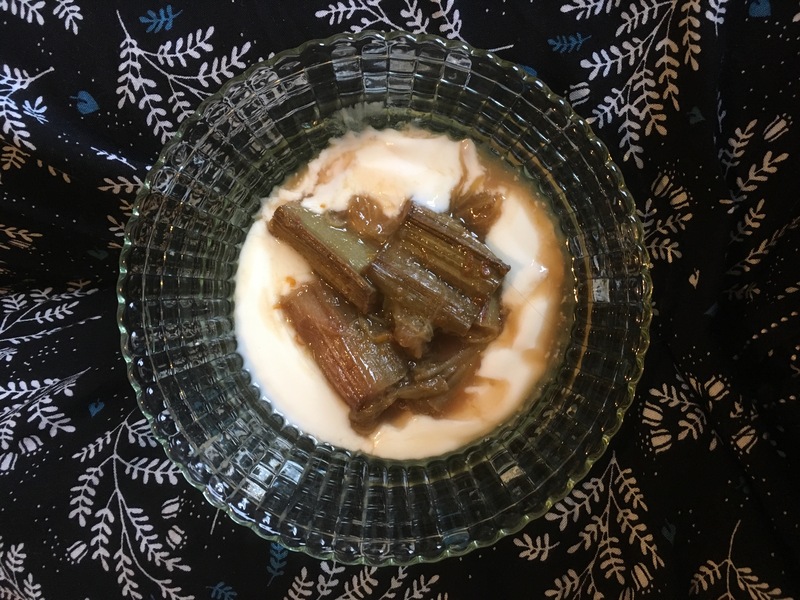 I didn’t have any cake, but I did treat myself to rhubarb compote with greek yogurt, and it was delicious! Overall I definitely think this birthday was better than last years (I had a migraine all day and it was significantly marred by the EU referendum – the less said about it the better), so I definitely think that that is a positive sign. Hopefully when I turn 25, I’ll be feeling better still. If you’d like to watch the vlog I made from my birthday week, you can do that here. rhosynmd • This entry was posted in Anaphylaxis, Anxiety, Bartonella, Birthdays, chronic fatigue syndrome, chronic illness, Chronic Lyme Disease, chronic pain, Depression, invisible illness, Lyme Disease, Lyme Disease Awareness, mental health, myalgic encephalomyelitis, New Video, Postural Orthostatic Tachycardia Syndrome, systemic exertion intolerance disease, type II diabetes, Uncategorized, vlogging and tagged Anaphylaxis, Anxiety, Bartonella, birthdays, Chronic Fatigue Syndrome, chronic illness, Chronic Lyme Disease, chronic pain, depression, invisible illness, Lyme Disease, Lyme Disease Awareness, mental health, myalgic encephalomyelitis, New Video, Postural Orthostatic Tachycardia Syndrome, Systemic Exertion Intolerance disease, type II diabetes, vlogging. Bookmark the permalink.